The history of the bridal veil is really pretty fascinating. Originally it seems that the veil came from Roman times and was called a “flammeun”. The roman veil was designed to look like flames or like the bride was on fire. This was to frighten off evil spirits from attacking the bride. This veil was to confuse this spirits. Romans felt that the bride was safe if her face was covered. It has even been suggested that the bridesmaids were part of this undercover activity two keep evil spirits away from the bride. The bride's identity was also kept “under cover” from the evil spirits by this veil. No matter what the explanations for wearing a veil might be, surely no one would argue that on this day our bride looked amazing. Another explanation for the bride's veil came from the days of arranged marriages. In the days of arranged marriages brides were actually given away in exchange for money or expensive items. Fathers not wishing to take a chance that their daughter were not attractive enough covered their daughter's faces so that the groom could not see their bride and at the last minute run away. This also falls in line with the theory that a bride cannot be seen by the groom before their wedding for much of the same reason. That being that the groom would run away because his bride was not attractive enough. 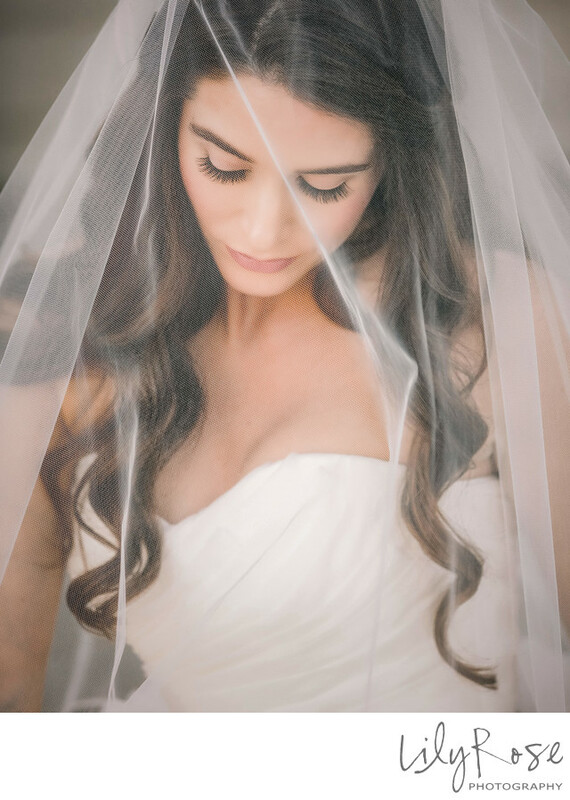 In a similar reason for wearing veils, veils were thought to weigh down the bride so that she could not run away from her husband whom she was meeting for the first time. Another explanation for the bride wearing a veil is that the veil represented the bride's virginity. Symbolically when the groom lifted the veil it was meant to show the couple had consummated the marriage. Or in a similar explanation the lifting of the veil was to show that ownership of the bride had just transferred from the bride's father to the new husband. A final and more palatable explanation for wearing a veil is that the bride wears the veil as a sign that the love between her and the groom is “true” love. This example shows that their love is more than superficial because the groom would marry the bride no matter what she looked like, even if he can't see her face.